Rice Lake WI, Aug. 2 – One week ago Eric Olson didn't even have a ride in the Street Stock Little Dream race at the Rice Lake Speedway. But he hooked up with veteran car owner Mark Ewert and Tuesday night he sat in victory lane, the winner of another record breaking event in which the cash contributions from fans and businesses drove the final winning purse up to $15,000. Fifty five entries from four states were on hand for the twenty second edition of the Little Dream race and with a great crowd on hand, the old record payoff was smashed by nearly a thousand dollars as Olson became the first three time winner of this event. However, Olson, who has raced Super Stocks for a number of years now, last won this race way back in 1997 and his winning purse that night was just over $600! The WISSOTA Modifieds were on the card also on Tuesday and Dave Cain from Corcoran Minnesota won his first feature of the year at Rice Lake as he topped a strong field of competitors. The fifty five entrants were narrowed down to twenty six of the best Streets in the area who took the green for the thirty lap main event. Olson started on the pole by virtue of winning the dash and he and Cody Kummer went wheel to wheel for the first two laps before Olson was able to edge into the lead. Some heavy battling was going on behind the top two as Kevin Bogdanovic, Mike Blowers, Sam Fankhauser and Hunter VanGilder fought for position while Justin Vogel and Tim Johnson moved to the top side of the track in an effort to find some open racing room. Olson continued to lead and he started to stretch his lead out to several car lengths as Kummer tried to stay with him. Bogdanovic settled into third with Blowers running fourth and there continued to be a large group behind them jockeying for position. Olson was setting a fast pace as his car was rock steady on the track. Near the halfway point of the race he encountered his first lapped traffic but he was able to weave his way through them without trouble as he and Kummer broke away from the field. Johnson was making up ground as he broke into the top five and worked to track down the leaders but with the race staying under the green, it was a slow process to catch the front runners. With nineteen laps complete, the lone yellow flag of the event flew when Shawn Amundson was turned around on the back chute. This bunched up the field and eliminated Olson's healthy advantage. One the green, however, Olson was hard on the gas and he started to pull away again. There was a ferocious battle for second as Kummer and Bogdanovic raced side by side for the spot which allowed Olson to stretch his lead as he had open track in front of him. Johnson continued to charge as he passed Fankhauser for fourth and then started to work on Bogdanovic for third. Another driver that had moved to the second lane and was making time was Ryan Kostreba who cracked the top ten and continued to advance. Olson was still in control as the laps counted down and he had built a solid lead that was not going to be challenged. Olson continued on unchallenged as he flashed under Shaun Cimfl's checkered flag to score the record breaking win. Johnson continued his challenge as he took a shot at Kummer on the last lap but had to settle for third as Cody fought him off. Bogdanovic and Fankhauser completed the top five. Kostreba continued his impressive charge as he ended up sixth after starting eighteenth. The second five also showed Jay Kesan, Jimmy Gullikson, Danny Richards who received the Hard Charger award after starting twenty fifth and VanGilder. The Modified feature was also a smooth running event which, after spins on laps one and three, went green to checkered the last seventeen laps. Steve Hallquist led the way through the first half of the race, fighting off first Tim Johnson and then Kevin Eder after Eder raced into the runner up slot. Cain started fifth and was quickly on the move, using both the low and high side of the track. With a strong move, Cain passed Eder for second and then put the heat on Hallquist for the lead. Several times Cain nearly made the move but Hallquist was able to fight him off with Eder also looking for racing room. Just at the halfway point, Cain got a good run off turn four and drove past Hallquist on the outside to take over the lead. Once in front, he started to stretch his advantage as Eder then began to pressure for second. Picking up the pace farther back in the pack was Neil Balduc who drove past first Kevin Adams and then Johnson on the high side. Eder was finally able to get past Hallquist for second but Cain had now built up a substantial lead. With no more yellows to bunch the field, Cain drove home with little trouble for the win over a strong running Eder. Hallquist held off a late charge by Balduc for third with Johnson completing the top five. 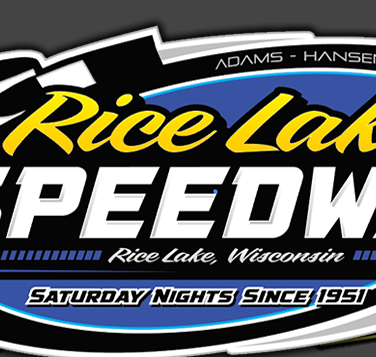 The Rice Lake Speedway wishes to thank all the businesses and individuals that contributed to the Little Dream purse in any way as without their support, this race would not be able to maintain the unique status that it has. 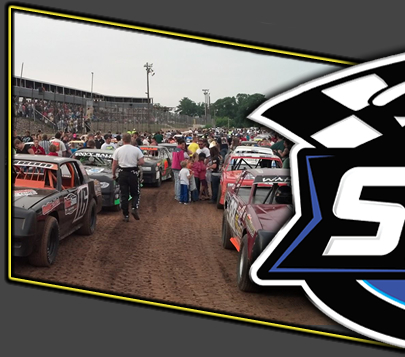 Following up the highly successful Late Model Challenge Series race last Saturday night, the speedway has hosted two of its most successful events in the history of Adams-Hansen Inc. owning the track, staged back to back. 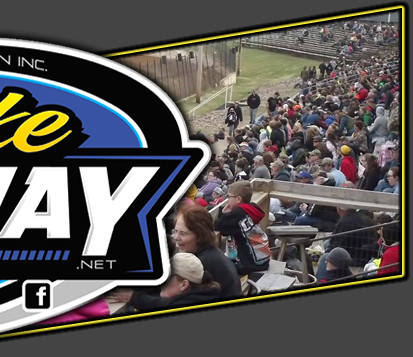 There will be no racing on Saturday, August 6th at the speedway as everyone will be taking the night off to recover and rest. Racing will return on Saturday, August 13th with the annual Hall of Fame night when six new members will be inducted into the speedway Hall of Fame. All five divisions will be racing in what will be the last point night of the 2016 racing season. Warm ups are at 6:30 pm.